Have you ever wished that your outfit looked like a work of art? 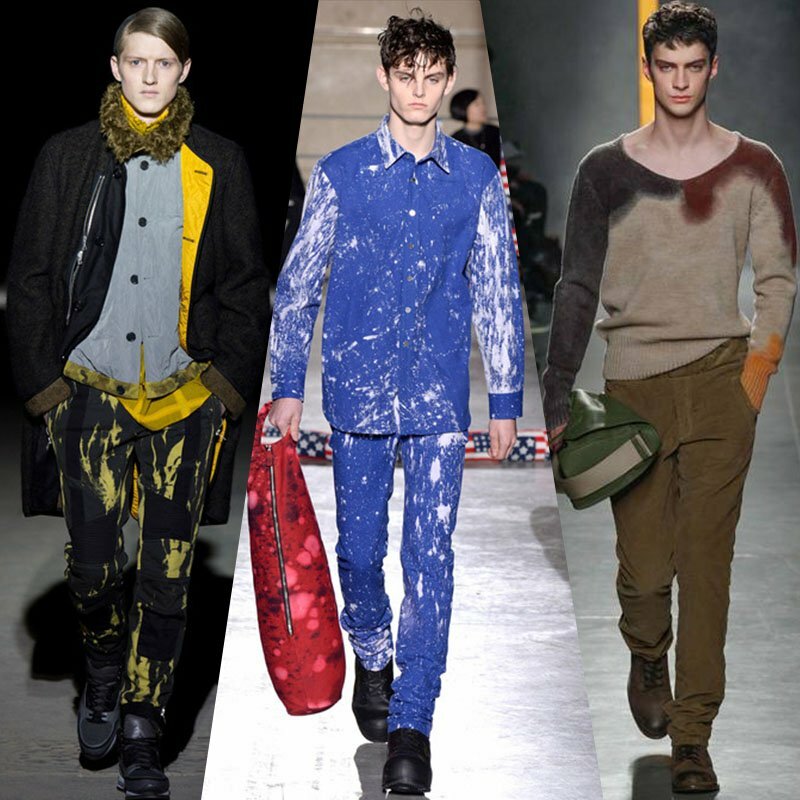 Well we certainly have, and it seems the fashion gods have finally answered our prayers by introducing the paint and dye trend – clothing that is filled with abstract splatters, oiled finishes and drips that takes the urban street wear trend to the very next level. 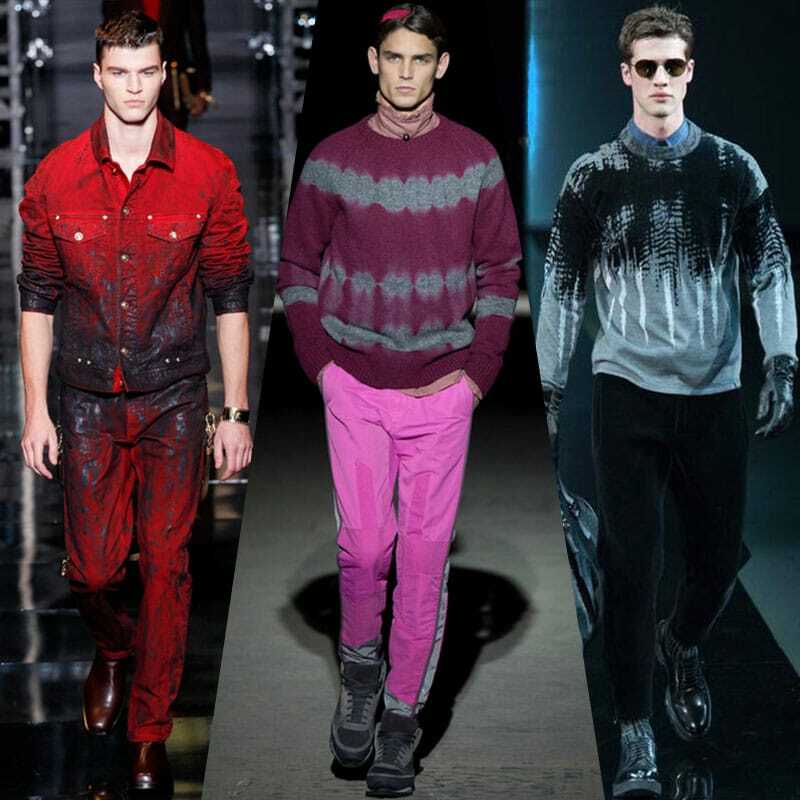 Already adopted by designers such as Raf Simons, Hunter Gather and Emporio Armani, paint and dye effects are usually combined with the good old print trend, adding that last bit of pizazz and flavour that makes print clothing a knockout to wear. Bear in mind though, paint and dye on clothing is not for the faint hearted – it can look very messy and untidy if you don’t pair it with the right clothing. We advise that only those who are attuned to their fashion sense attempt such a risky ensemble. The best thing about this trend is the fact that it allows you to really play with multiple colours and tones, providing a variety of combinations that can either showcase a vibrant or low key look. For example, if you want to be in the middle ground of it all, then a mix of red and black is a great combination to consider. Pair that up with some nice jeans or trousers and you’ve instantly got yourself a killer outfit. All in all, paint and dye effects are an evolution of the cultural influenced tie dyes, and if you’re a fan of those then you’re certainly going to love seeing this style in the timeless print trend.